A Facebook friend forwarded me an article a few weeks back and asked for my humble medical opinion. The article was entitled, “World Renowned Heart Surgeon Speaks Out On What Really Causes Heart Disease”. It was written by a man who said he was a heart surgeon, and who claimed to be coming clean on the real reason why our world has an epidemic of obesity and heart disease despite the low fat advice of the medical profession. It’s a highly controversial topic right now. For decades, the western world was under the impression that fat was tobaccos right hand man in a war on good health. Standard medical dogma was that high cholesterol was bad, and that saturated fat was its main source. Evil butter was replaced with angelic margarine. Fatty red meat was always served with a generous side portion of guilt. Low fat became high fashion. Today, the pendulum of public opinion has swung back with such amazing ferocity, it’s become more like a wrecking ball. Fat has returned to the fold as friend instead of foe. The once mighty cholesterol lowering medications called statins have become seen as another example of pharmaceutical company profits-before-patients. Sugar has become the new villain, and along with it, the nebulous concept of “inflammation” as the key mechanism of heart disease and strokes, and nearly every other medical ailment. In today’s post, I want to look at six things that, over the years, have been touted as contributing to or preventing heart disease, and see what the evidence says. The results may be surprising! 1. 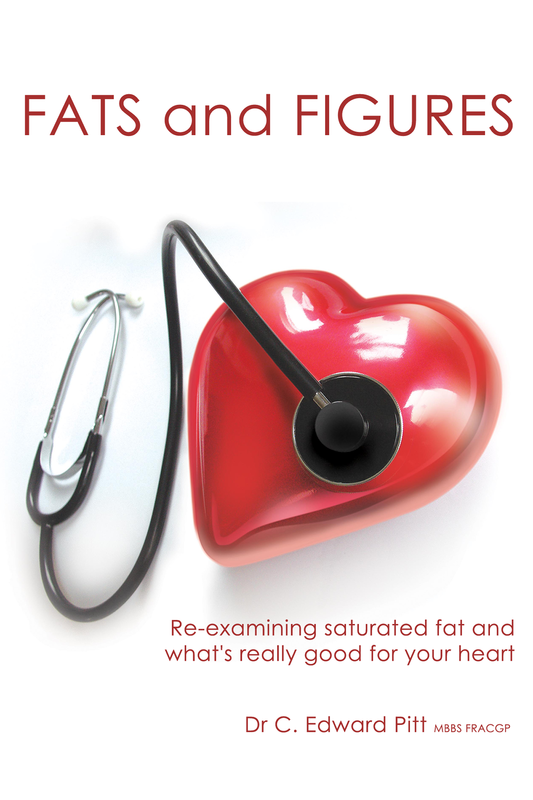 Is saturated fat bad? Is polyunsaturated fat good? According to a meta-analysis of observational studies on dietary fats by Chowdhury et al. (2014), relative risks for coronary disease were 1.02 (95% CI, 0.97 to 1.07) for saturated fats, 0.99 (CI, 0.89 to 1.09) for monounsaturated, 0.93 (CI, 0.84 to 1.02) for long-chain n-3 polyunsaturated, 1.01 (CI, 0.96 to 1.07) for n-6 polyunsaturated, and 1.16 (CI, 1.06 to 1.27) for trans fatty acids. The total number of patients in all of the trials was more than half a million. This is pretty convincing evidence that saturated fats aren’t as bad as first believed. What does all this mean? In statistical terms, a relative risk is the incidence of disease in one group compared to the incidence of disease in another. The risk of the disease in the two groups is the same if the relative risk = 1. A relative risk of 7.0 means that the experiment group has seven times the risk of a control group. A relative risk of 0.5 would mean the experiment group has half the risk of the control group. The confidence interval is a range of numbers in which there is a 95% chance that the true relative risk is in the interval. A result is “statistically significant” when the confidence interval (CI) does not cross the number 1. So going back to the study by Chowdhury et al. (2014), only 2% more patients in the group with the highest saturated fat consumption had heart disease compared to the lowest saturated fat consumption. The confidence interval crossed 1, so that result may have been due to chance alone. For trans fatty acid consumption, 16% more people had heart disease in the higher consumption group compared to the lower consumption group, which was probably a real effect and not due to chance (the confidence interval did not cross 1). Simply put, trans-fats are bad. Saturated fats probably aren’t. So it appears that it doesn’t matter what fat you consume, saturated or polyunsaturated, or whether you supplement with fish oils or eat lots of fish, your cardiovascular risk is much the same. The only thing that’s definitely clear is that you should avoid trans-fats. 2. Is sugar bad for you? When we think of sugar, we think of sucrose, a carbohydrate made up of one glucose and one fructose molecule. There are many carbohydrates, which are just various combinations of different numbers of glucose/fructose molecules, sucrose being one type. Sugar consumption is thought to be the modern scourge, it’s consumption linked to everything from cancer to gallstones. It’s been recently become the villain of cardiovascular disease as well. It’s thought to cause insulin resistance, inflammation and an increase in the fats circulating in the blood stream. So, is it as bad as they say? The evidence is surprising. The intake of sugar and glucose don’t cause an increase in inflammation or cholesterol in healthy people. In a study on effects of sugar consumption on the biomarkers of healthy people, Jameel, Phang, Wood, and Garg (2014) found that consumption of sucrose and glucose actually decreased cholesterol. Fructose increased cholesterol, though interestingly, the Total:HDL ratio (which is prognostic for heart disease) did not change significantly with the consumption of any form of sugar. They also found that fructose was associated with an increase in inflammation, but glucose and sucrose reduced inflammation. On the other hand, a study by Isordia-Salas et al. (2014) showed a small but significant association between those with high blood glucose level and inflammation, though they also found an association between inflammation and BMI (the body-mass index), so it’s not clear what the causal factor is. There seems to be a clearer association between blood glucose after meals in those who have abnormal glucose metabolism. In patients with pre-diabetes, higher levels of blood glucose two hours after eating were associated with increased risk of death from cardiovascular disease and all causes (Coutinho, Gerstein, Wang, & Yusuf, 1999; Decode Study Group, 2003; Lind et al., 2014). To melt your brain a little more, just because high glucose levels are associated with higher mortality doesn’t mean the lower the glucose, the better. In the study by the Decode Study Group (2003), low blood glucose had a higher mortality than normal glucose levels, and a meta-analysis by Noto, Goto, Tsujimoto, and Noda (2013) showed that low carbohydrate diets have a 30% increase in all-cause mortality. How do you pull all of these seemingly contradictory studies together? The bottom line appears to be, according to the evidence so far, that consumption of sugar does not cause inflammation or significantly increase the risk of heart disease in healthy people who are able to metabolise it properly. In those people who have abnormal glucose metabolism, the higher the glucose is after a meal (a measure of how well the body processes glucose), then the higher the risk is of inflammation, heart disease, and all-cause mortality. The distinction between who has normal glucose metabolism and who has dysfunctional glucose metabolism is probably related to genetics. A study by Sousa, Lopes, Hueb, Krieger, and Pereira (2011) showed that genetic information was able to predict 5-year incidence of major cardiovascular events and overall mortality in non-diabetic individuals, even after adjustment for the persons blood sugar. Those without diabetes but who had a high genetic risk had a similar incidence of cardiovascular events compared to diabetics. So if you have the genes, your body doesn’t process the glucose properly and your risk is increased, even if you aren’t bad enough to have a diagnosis of diabetes. Thus it appears that sugar is not the bad guy that everyone makes it out to be. Excess sugar will make you fat, but so will excess everything-else. It probably won’t kill you unless you’re genetically pre-disposed to handle it poorly. And there’s the rub, because we don’t have the capacity to test for that clinically yet. So the last word on sugar is that it’s a sometimes food. You may be lucky enough to handle large amounts of sugar, but the best advice at this time is don’t tempt fate by eating large quantities of it. 3. Is obesity bad for you? It used to be thought that obesity posed a linear risk, that is, the fatter you were the higher your risk of heart attacks, cancer, diabetes, everything. Then in 2013, a meta-analysis by Flegal, Kit, Orpana, and Graubard (2013) showed that people who were overweight (but not obese) had better survival than those who were normal weight. Later in 2013, Kramer, Zinman, and Retnakaran (2013) published a meta-analysis which showed that metabolically unhealthy people of normal BMI were at greater risk of cardiovascular disease than metabolically healthy obese people. Last year a paper by Barry et al. (2014) showed that those who were unfit were twice as likely to die compared to people who were fit, irrespective of their BMI. So obesity doesn’t seem to be the problem after all, rather it’s a persons ability to handle blood sugar, cholesterol and blood pressure that’s the problem. It seems that more people with obesity have these metabolic problems, but correlation does not equal causation. There’s probably a undetermined factor that links obesity and metabolic dysfunction. I’m not suggesting that we should all get fatter. Obesity has problems of its own, unrelated to metabolic issues, that make it problematic. We should still be careful about our weight. The take-home message is that skinny does not necessarily mean healthy and that focusing on what the scales are saying may be distracting us from the real problem. 4. Is meat bad for you? Should we be vegetarians? In the two available meta-analyses of the studies on red meat consumption (Larsson & Orsini, 2014), and red meat vs white meat vs all meat (Abete, Romaguera, Vieira, Lopez de Munain, & Norat, 2014), there was a statistical but moderate increase in death and heart disease from processed meats. There was a trend towards a higher death rate in those who ate the most red meat, but the trend wasn’t statistically significant (i.e. : may have been related to chance). There was no trend associated with white meat consumption. So it appears that as long as it’s not processed meat, red meat isn’t as bad as people first thought. Meat might not be particularly bad, but are vegetarian diets better? Again, probably not. The meta-analysis by Huang et al. (2012) shows that there’s a positive trend for vegetarian diets, though again, that might be attributable to chance as the results are not statistically significant. The take-away message? Even though the trends may be related to chance, the trend is favourable for vegetables and not as favourable for red meat. So eat more veggies, eat less red meat, but don’t let some sanctimonious vegan convince you that meat is noxious and vile. 5. Is alcohol good for you? A different meme recently came around my Facebook feed, entitled, “Is Drinking Wine Better Than Going To The Gym? According To Scientists, Yes!” For a while there, I had fantasies about giving my membership card back to the gym and heading down to the local bottle shop for my daily workout instead. Disappointingly, it turns out that red wine isn’t better than exercise according to the research that I uncovered. However, my research did suggest that the daily exercise of wine drinking is still beneficial, and not just red wine, but alcohol of any form. Ronksley, Brien, Turner, Mukamal, and Ghali (2011) showed about two standard drinks of alcohol daily conferred a 25% reduction in deaths from heart disease (relative risk 0.75 (0.68 to 0.81)), and a small but statistically strong reduction in death from all causes of 13% (relative risk 0.87 (0.83 to 0.92)). The risk reduction of coronary heart disease from alcohol was also confirmed in a more recent study by Roerecke and Rehm (2014), who showed that death from heart disease was reduced by 36% for those who consistently consumed less than three standard drinks a day (relative risk 0.64 (0.53 to 0.71)). The effect applies to consistent daily consumption, not to drinking in a cluster pattern (binging or weekend-drinking only, for example). And there’s a gender difference, women having the maximum beneficial effect at about one drink a day, and two drinks a day in men. 6. Is exercise good for you? I’ve never seen a study that showed exercise was harmful. Exercise improves overall metabolism, decreases cardiovascular disease, improves mood and memory and increases your lifespan, amongst many other things. If exercise came in pill form, it would be labelled a wonder-drug. As discussed earlier, fit people have a better rate of survival compared to unfit people, whether they’re obese or not (Barry et al., 2014). And the key to fitness is exercise. In a large meta-analysis by Samitz, Egger, and Zwahlen (2011), 80 studies involving more than 1.3 million subjects in total were analysed, showing that the highest levels of exercise had an all cause mortality reduction of 35% (relative risk 0.65 (0.6 to 0.71)). There’s always debate about what form of exercise is best. Are you better to do weights, do interval training, or run for hours? Honestly, it probably doesn’t matter that much in the end. What is important is that you work hard enough to elevate your heart rate and break a sweat. If you aren’t very fit, it won’t take much exercise to do that. If you are very fit, it probably will. But for the average person, you don’t have to jump straight into a boot camp style program and work so hard that you’re puking everywhere, and so sore afterwards that you can’t move for a week. Common sense prevails! Coutinho, M., Gerstein, H. C., Wang, Y., & Yusuf, S. (1999). The relationship between glucose and incident cardiovascular events. A metaregression analysis of published data from 20 studies of 95,783 individuals followed for 12.4 years. Diabetes Care, 22(2), 233-240. Decode Study Group, E. D. E. G. (2003). Is the current definition for diabetes relevant to mortality risk from all causes and cardiovascular and noncardiovascular diseases? Diabetes Care, 26(3), 688-696. This entry was posted in Biological and tagged alcohol, cholesterol, diet, exercise, Facebook, heart disease, inflammation, meme, obesity, paleo, red meat, saturated fat, sugar, vegetarian by cedwardpitt. Bookmark the permalink.